adeola is using Smore newsletters to spread the word online. In the factories children were used for jobs because they were cheap. Children as young as 10 years old were working 11-14hr jobs. The sounds of the machines were deafening and were able to crush their small hands quickly. 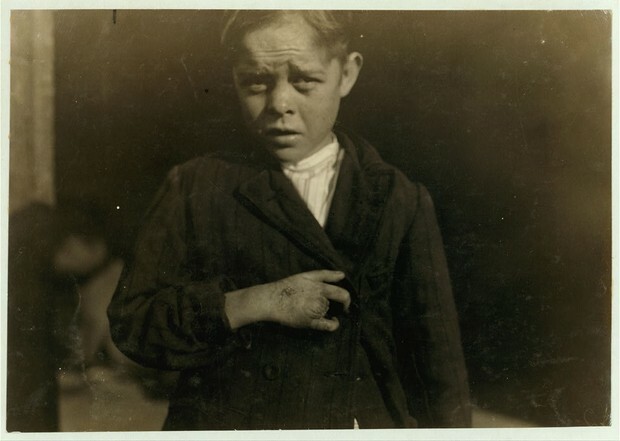 The sulfur on the coal caused the 'Breaker Boys' fingers to swell and bleed. 18% of american workers were under 16 years old and worked 11-14 hours a day. they got payed $1 a week. since they were always working they didn't have time for education and if they did they wouldn't get the message due to exhaustion. The law restricted child labor, fair labor standards act of 1938 helped with minimal wage and maximum hour standards.